We’re busy. We’ve all been there and got the t-shirt. We have work, family, a 100 emails to answer, a blog to post to, and a WiP that won’t write itself. But even though we’re busy, running around like a chicken with no head, are we being productive? There’s a huge difference. So what can we do to cut distractions and interruptions and work smarter? Let’s take a look. First, structure your time. This is two-fold. The first step is to pick the best time for you to write. This means a time when you are productive and not likely to get interrupted. This could be in the morning an hour or two before everyone wakes up. At night after the kids have gone to bed. An hour after work in a café before you go home. Or once the kids are in school for the day. The second part is actually structuring the time you write to be most productive. We can’t just pound out words for hours. It leads to burnout fast. Instead break writing time into sprints and breaks using the Pomodoro technique. Focus and write strong for twenty-five minutes, then take a five to ten minute break. Reward yourself for your work with a snack or checking Facebook. Then get back to work for another twenty-five minutes. Repeat until you’ve worked for an hour then take a longer half-hour break. These breaks give your brain a chance to rest and recharge in between these sprints to keep you fresh. Rewards are also great for positive reinforcement, training your brain to write. The next important step is to prioritize your time and communicate your needs with others. This is the hardest part. Something can and will always come up demanding your time. But if you’re not writing, are you still a writer? What I mean is you have to prioritize your writing time or it won’t happen. This may mean sacrifices in other aspects of your life. It may mean you can’t socialize every single day. It may mean the dishes have to wait an hour or two before they get done and that laundry only happens once a week. Then, once you’ve scheduled your writing time, you need to communicate your needs. Tell friends and family you’ll be writing and won’t be available for that time. Then stick to it. Leave your phone in another room on silent with a promise to check it when you are done. Tell your spouse and kids they are not to knock or interrupt you unless it’s an emergency. And explain what a real emergency is. It’s not for mom to find something you lost in your room. That can wait. Your writing and life goals matter and your needs matter, so don’t feel bad asking for this time to yourself to work. You deserve it. Close the door or go somewhere quiet to work. No one can ask you what’s for dinner if you’re not home (just saying). If you need to, put a note on the door and/or lock it, reminding your family not to interrupt. 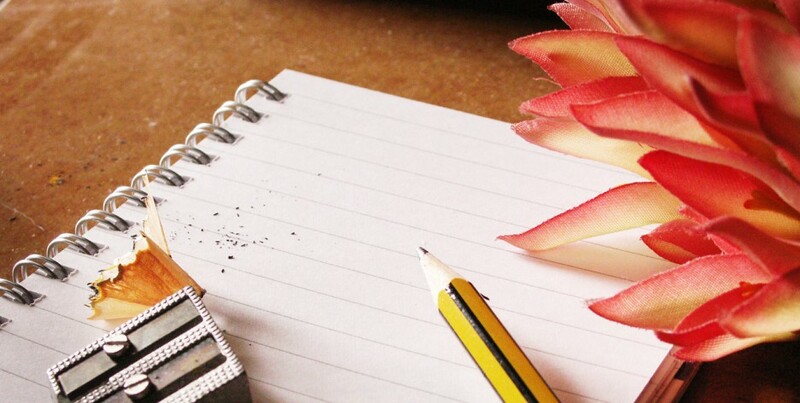 Other small things that customize your writing routine will help with productivity. This includes things like noise and temperature to help you focus and feel comfortable. Ambient white noise can help you focus. Others need just the right playlist to get into their world. Set up your music beforehand so you can get straight to work. Keep a sweater or blanket with you if you get cold or make sure the A/C is on in the summer. You’ll be distracted if you’re hot or cold. Also have drinks and snacks nearby so you don’t feel the need to get up and go to the kitchen in the middle of a sentence. These will help you to work smarter and not harder. It isn’t easy, this business of writing while having a life, but I know you can do it. What are tips you have for being more productive? Share below and happy writing! Find me on Twitter and Facebook for weekly prompts. Last time we talked about filler, so this week I thought we could cover a related subject, filler words. These are words that add to our word count, but detract from our story. These words are often vague, general, or redundant as well as being unnecessary. So let’s take a look at some common culprits. This is a crutch word we rely on, but it takes away more than it adds. Instead of very, choose a stronger word. Instead of very tired, use exhausted. Instead of very hungry, use famished. Instead of very pretty, use gorgeous or exquisite. You get the picture. So and really. Like very, so and really are meant to emphasize, but they don’t add much to a sentence. Use a stronger word instead. Just. This word implies a lack of confidence in what you’re saying. Avoid. Like, actually, basically, and other words that serve as verbal ticks. Just as we say “umm” when talking, these words can slip into our writing. But they don’t add anything, so cut the fat and delete them. Most of the time that can be deleted from your sentences without changing the meaning. If that’s the case, keep it out. If not, like in the previous sentence, you can keep it in. Almost and seemed. Don’t waffle in what you’re trying to say. Don’t be vague, be clear. Either it is something or it isn’t. Don’t use almost or seemed. Same goes for maybe, somehow, and something. Be clear. Redundant prepositions like up in stood up. You can only go up when you stand, so just say stood. Same for sat down. Keep an eye on these redundant words. When you are editing, do a pass for these filler words. Use the control F feature to find and fix them. Do this in later passes when you’re closer to polishing your words rather than early on when you’re doing big revisions. As you fix them in edits, you’ll get better at catching them while you’re writing. What filler words are you guilty of using? Share below and happy writing! Find me on Twitter and Facebook for weekly writing prompts.